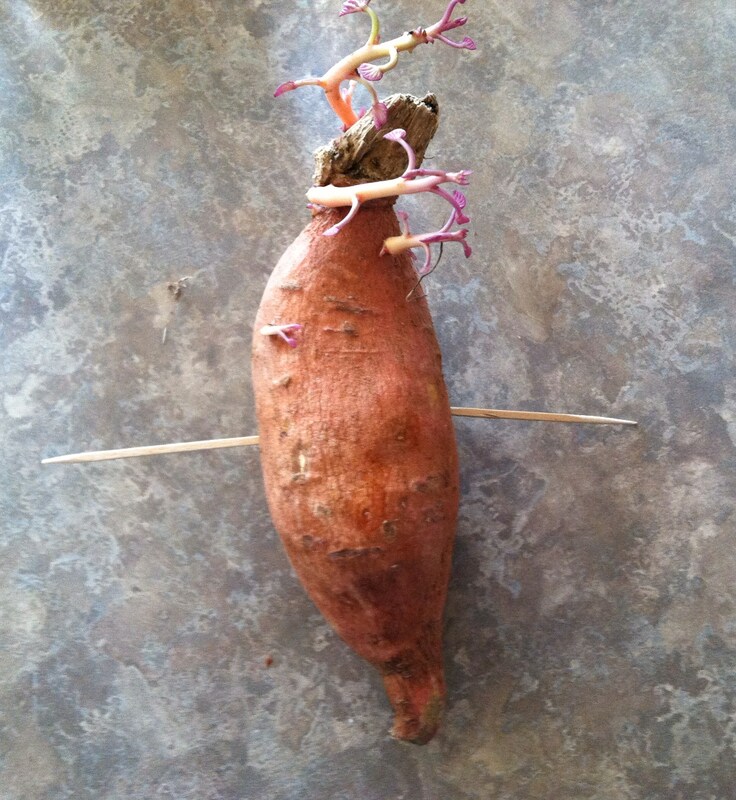 Growing new sweet potatoes is SOOOOOO easy. All you do is first get some sweet potatoes. You can get these from the store or, preferably, from the hundreds of varieties that exist and are available online. Experiment to find which kind you like best and which do best in your area. Don’t be limited to the store variety. Don’t settle for store bought varieties although these are perfectly fine too. Also, grab yourself some toothpicks. These grimy things were in our junk drawer from last spring’s sweet potatoes. Resist the urge to stick them in your mouth if they’ve been in a similar location. There are many varieties of toothpicks for your picking pleasure. 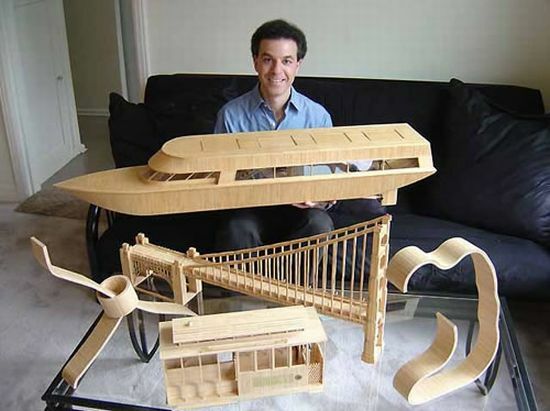 I suggest the cheap wooden ones. Why? For heaven’s sake, you’re just sticking them in sweet potatoes. Now chop those suckers in half (the sweet potatoes, not the toothpicks). Then you just stick two toothpicks into the sweet potato halves. One on each side. Or you can stick a bunch in and go toothpick crazy like this kid did. Or you can stick them in yourself like this “adult” did. But I really suggest you just put two in your sweet potatoes because that’s why you’re reading this blog afterall. I mean, isn’t it? This would also be fun to do with a kid. And yes I know this is a potato potato, but a sweet potato would work too. Anyhow, when you’re done. Plunk them in a cup of water, the toothpicks will keep them from totally being submerged and then put them on a sunny windowsill. Then go wash your windows if they look like mine. The potatoes ought not to be planted in the ice as they can’t get by in cool climate. The sweet potatoes ought to be cleaned with a brush to expel the earth of the dirt and sand from which they have been grown. They ought not to be washed with water on the off chance that they are to be put away as this would bring about decaying of the vegetables. The sweet potatoes can be put away in a cool and dry place for 5 months in the wake of gathering them.